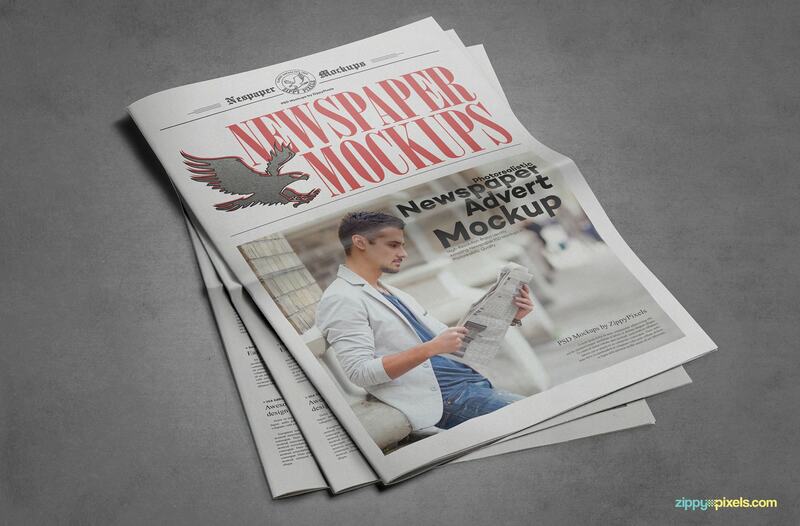 9 vintage styled newspaper PSD advertisement mockups in the popular tabloid size (11.5 x 17.6 inches). 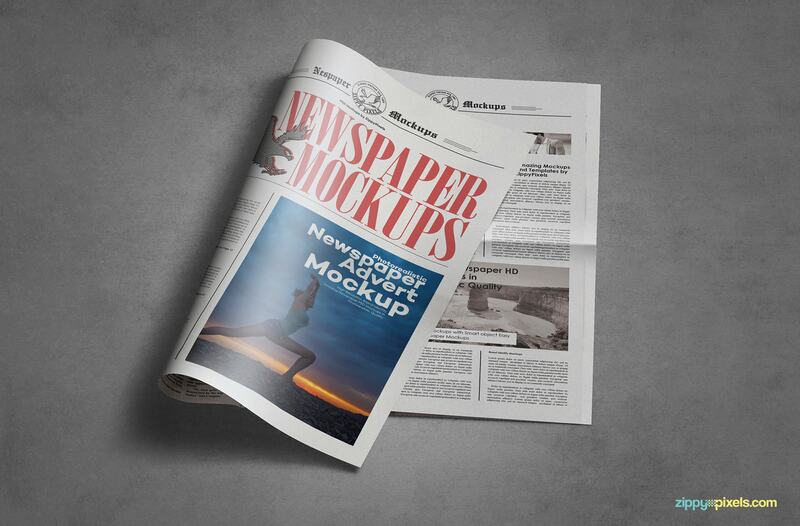 These impeccably created mockups offer an abundance of ad space sizes to display your newspaper and advertising designs in breathtaking detail. 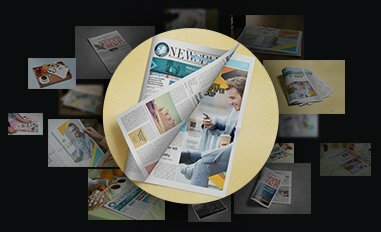 Featuring customizable newspaper/advert designs, shadows, gloss effects, backgrounds and a bonus holding position + iPhone 6S screen mockup. 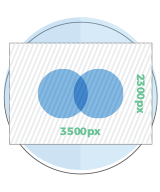 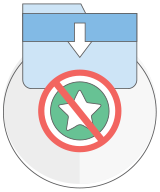 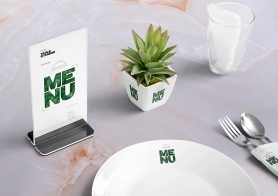 The awesome part is that these PSD mockups come with Smart Objects that make them extremely easy to edit. 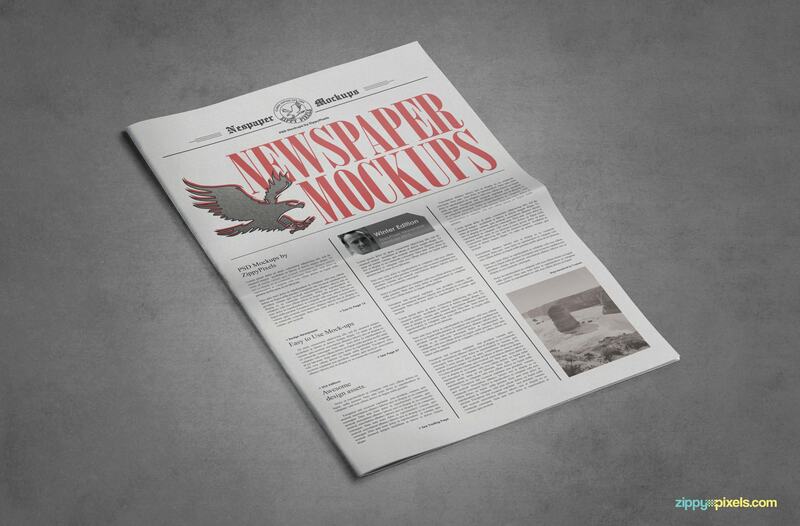 Vintage newspaper mock-up to showcase your front page newspaper designs. 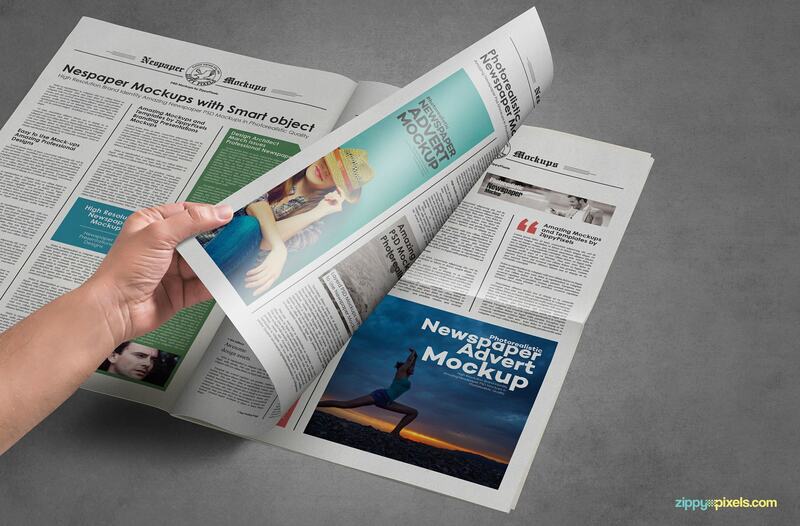 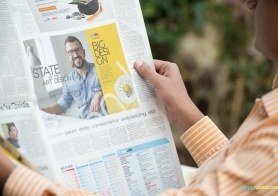 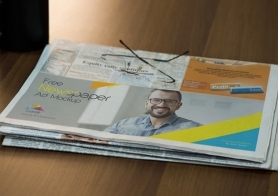 An opened newspaper PSD mockup with large full page advertisement space (43 x 66.37 inches) on the left. 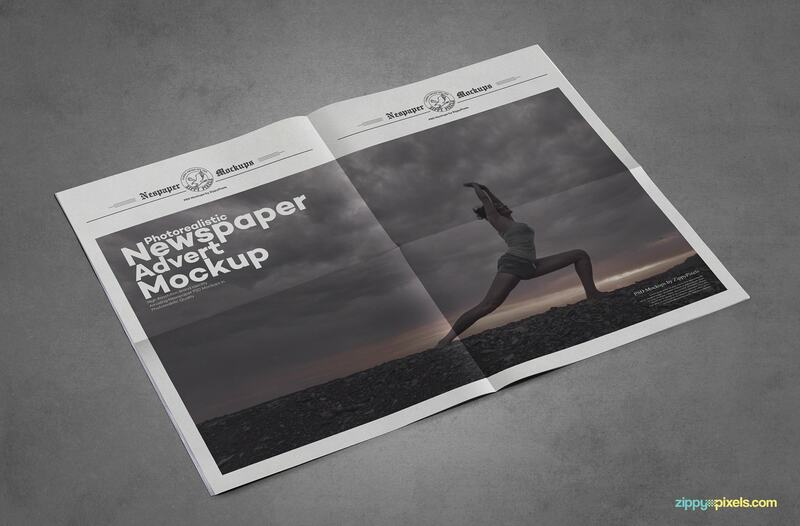 A wide 2 page ad mockup (90.86 x 58.133 inches) to present your advertising and editorial designs on a massive scale. 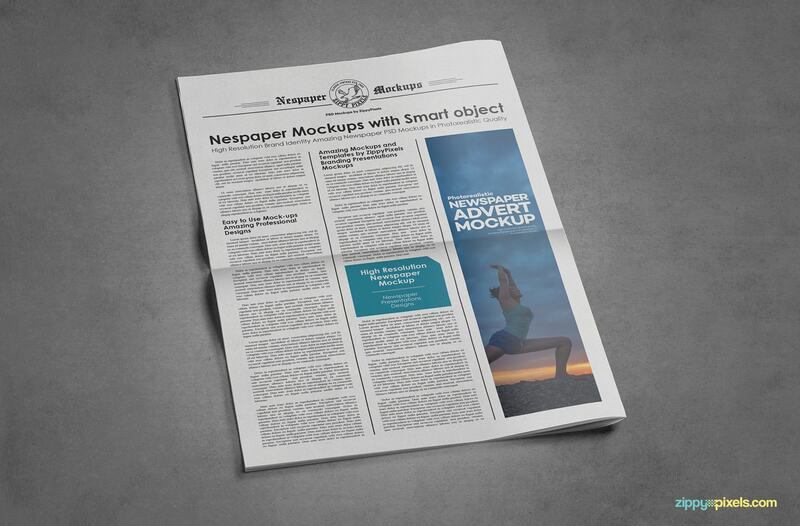 High quality newspaper mockup with a column sized advertisement section (12.61 x 53.66 inches) on the right side. 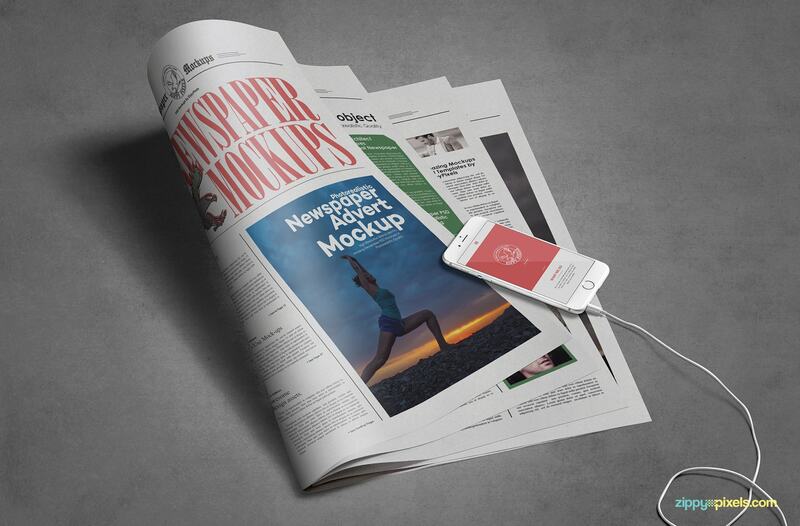 A realistic shot with several semi-turned pages and a two column ad mockup (27.75 x 37.62 inches) + a bonus iPhone 6S screen mockup. 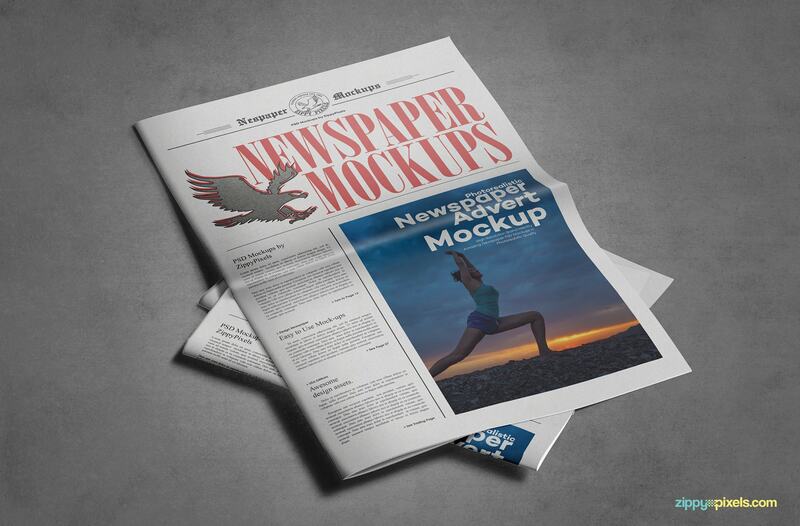 Front side advert mock-up with (27.75 x 37.62 inches) dimensions. 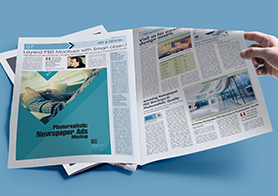 Hand turned newspaper mockup revealing dual ad sections on the left (12.61 x 51 inches) and right (27.75 x 28.98 inches) hand sides. 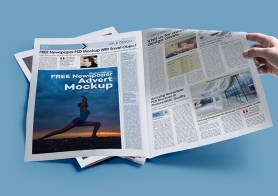 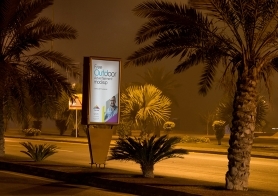 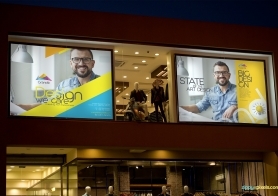 A large front page advertisement mockup (43 x 37.58 inches) to present your designs effectively. 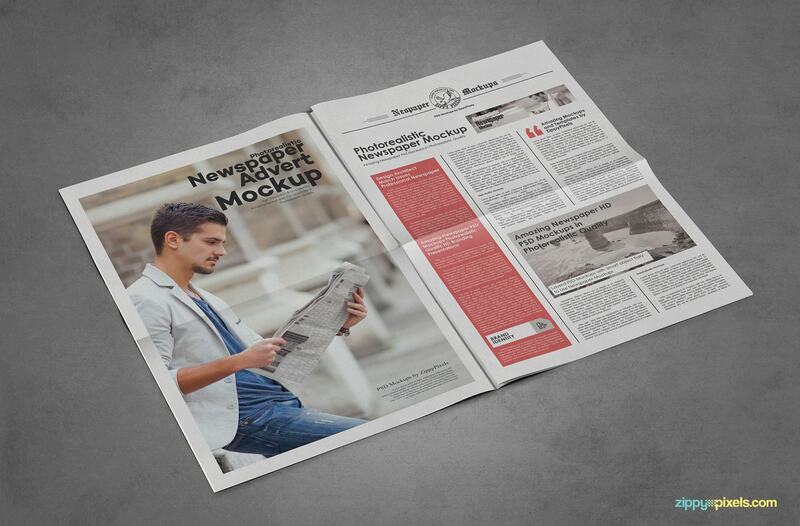 Another two column advertising space (27.78 x 37.62 inches) on the front page of the vintage newspaper mockup. 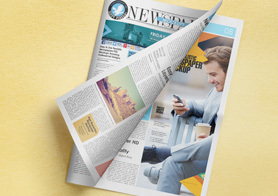 We have included editable newspaper design in Adobe Illustrator format in this volume as well. 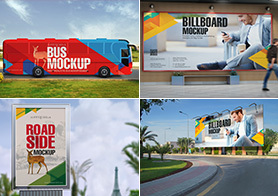 Present your designs in super crisp details using HD quality mockups available in 3500 x 2300 in commercial license.